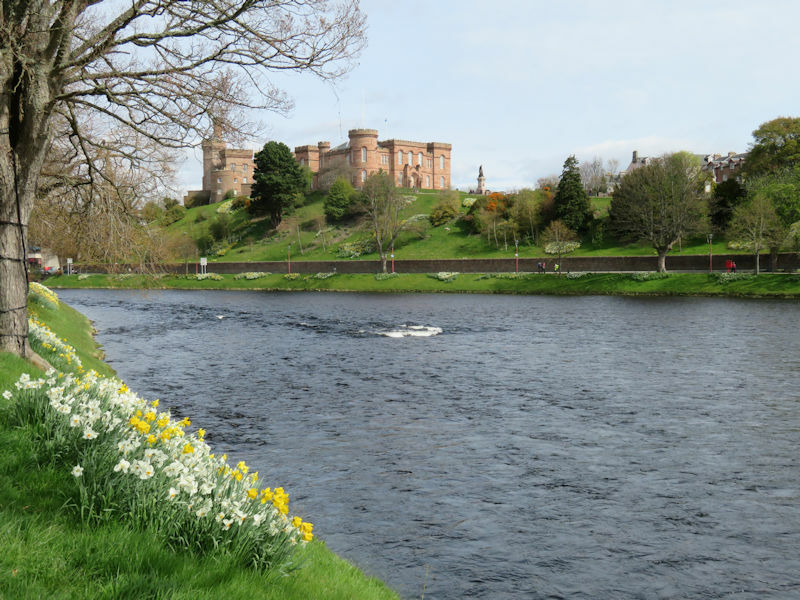 Dominating the riverside, the first castle in Inverness on the site of the present Victorian castle was in the 12th century and over the centuries was replaced by newer versions. The present castle is used as a courthouse (not open to visitors) but you can climb up to the new viewing platform on the castle tower (open from 11am to 6pm daily April to October, extended to 10am to 7pm in June, July and August). From here the panoramic views of the city, River Ness and surrounding hills stretch all the way north across the firth to Ben Wyvis. The nearest castle to Inverness is Cawdor Castle, built in 1454 and even mentioned, albeit incorrectly, in Shakespeare’s “Macbeth”. 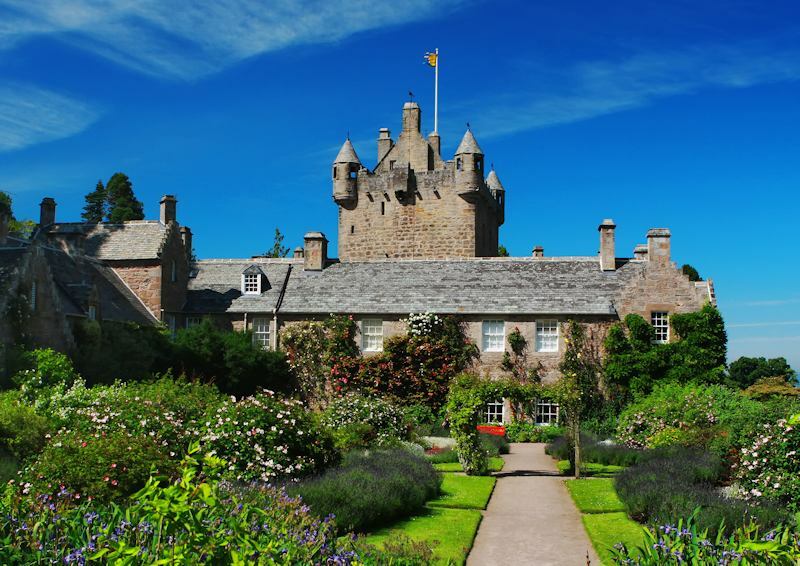 It is still lived in today by the Campbell Earls of Cawdor and is fascinating to visit with all the features that castles are supposed to have – drawbridge, moat, turrets, dungeons and spiral stone staircases. Outside are lovely gardens, a small golf course, café, souvenir shop and access to Cawdor woods with marked trails through the beautiful beech trees. In autumn the colours are particularly magnificent. Cawdor is about 15 minutes drive to the east of Inverness. 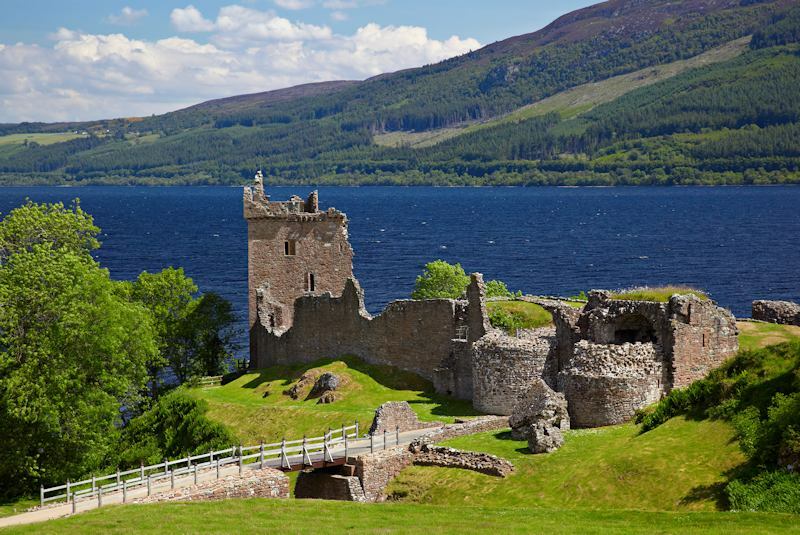 Urquhart Castle (Historic Scotland) overlooking Loch Ness is 25 minutes drive from Inverness on the A82 Fort William road. Now a ruin, there was a fort on this strategic site as long ago as the 12th century. The stone castle was built and added to over many years before being blown up after the Jacobite Uprising of 1689. There is a very interesting Visitor Centre with exhibits, a film, café and shop. 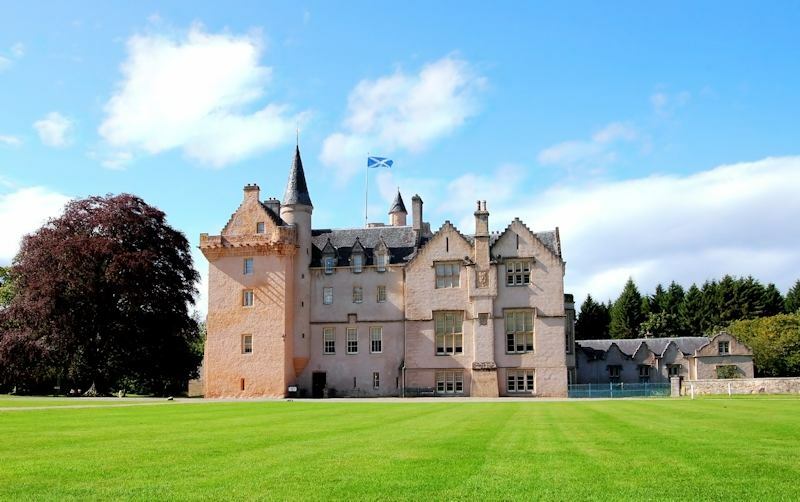 Brodie Castle (National Trust for Scotland) is just off the A96 Aberdeen road about 8 miles beyond Nairn and 30 minutes drive from Inverness. Brodie is a very large fortified house in wooded ground, which are beautiful in spring with thousands of daffodils blooming. The grounds are free to explore all year round. 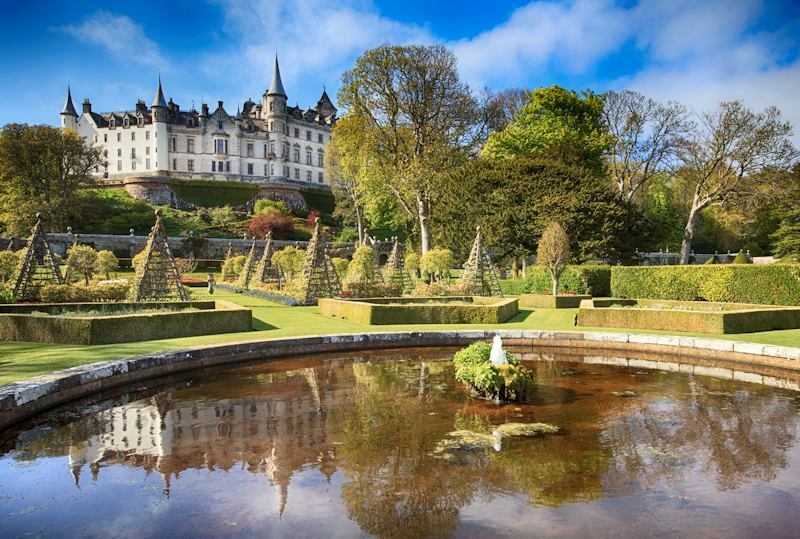 Dunrobin Castle is home to the Dukes of Sutherland and could easily be the inspiration for a Disney castle with its clusters of French style pointed turrets. It has a magnificent setting on the seashore near Brora, about 1 hour's drive north of Inverness. There are formal gardens dating back to 1850 in the style of those at Versailles and each day there are displays of falconry in the grounds and a café for refreshments.